This first book in a planned series of children’s books targets a very precise audience. The Hospital Critterz series was created for ill and hospitalized children and their families. The goal of the series is to offer children adventurous, interesting stories that also help them cope with their circumstances and surroundings. The Prairie Pet meets this laudable goal. In fact, this sweet tale is likely to be an interesting and engaging read for many youngsters in the target age range, whether hospitalized or not. The pleasing illustrations contain appealingly drawn characters in the “heroes,” hospitalized children Lily and Max, as well as in the eponymous Hospital Critterz that Lily unwittingly creates with a set of magical markers her nurse gives her. Minor quibble: The illustrations would be improved, though, if the full color that is used in the cover art were also used within the book, which instead depicts the characters in grayscale. The first few chapters of The Prairie Pet are rather slow-moving. This is perhaps a necessary hurdle for any first book in a series. The introduction and characterization of Lily and Max requires this time; the same is true of the “Critterz” and the magic that sparks them to life in the story. This segment of the book also illustrates different experiences of hospitalized children and shows the reader that children adapt in their own ways. The author commendably keeps background details about Lily’s and Max’s medical situations sparse, thus maintaining relevance for a larger audience. The adult reader might find the tension that punctuates these introductory chapters to be artificial. This is not likely a problem for the child reader, particularly those in the target audience, as the reader effectively meets comforting new friends in a familiar setting. After the Critterz come to life, the real adventure begins. The story from this point captivates even the adult reader. The story is peppered with clues to a problem facing the characters as well as its solution. It also gently educates the child reader with interesting nuggets of information. The narrative tension is genuine, organically developed and at once stimulating and charming. 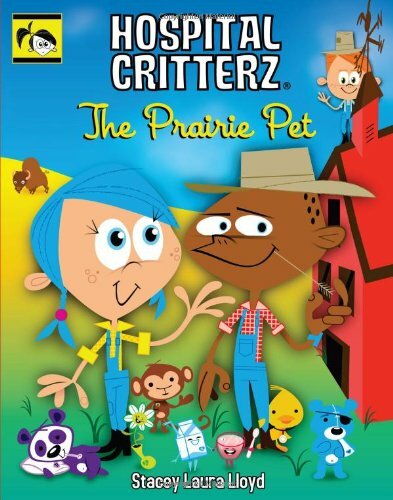 The Prairie Pet could well launch a successful series with an interesting and worthy premise.